more specifically activated charcoal (AC from now on). Maybe you’ve heard of this black dust and are curious about it’s magical powers. Or perhaps you’ve never even came across the name. Either way if you are interested in keeping your body happy and healthy I believe Activated Charcoal deserves your attention. In this post I want to share my personal experience with AC and let you decide whether it’s something you want to explore for yourself. Until this day I have a vivid memory of my first encounter with AC. I think I am about 4-5 years old, my dad is chasing me around the apartment, furious because I am refusing to take these horse size black pills to soothe my upset tummy. Now come to think of it, there were some positive aspect of growing up in communist Czechoslovakia. For one, natural remedies were quite prominent. Mostly due to lack of pharmaceutical drugs. For example activated charcoal was used to treat diarrhea. But as I have recently leaned, there is so many other uses for AC that should not be ignored. Activated charcoal is made by burning a source of carbon such as wood, debris, or even coconut shells. To make it “activate” steam or air are used at hight temperature to oxidize the charcoal. Why does it have to be activated? Well the oxidization allows charcoal and it’s countless tiny pores to become highly adsorptive. Not be be confused with absorptive. Basically it means that all those countless tiny pores are capable of attracting all kinds of substances. The real benefit for us is that they trap, bind, and remove poisons, heavy metals, chemicals, and intestinal gases from our body. Just two grams of AC powder (about one teaspoon) has about the same surface area as a football field. That’s a whole lot of area capable of separating good things from bad things. That’s why AC is commonly used in water filters to clarify and clean regular tap water. How can you benefit from AC? Even if your diet is clean and you buy organic, you still are being exposed to environmental toxins on day to day basis. This is causing cellular damage, allergic reactions such as skin rash or inflammation, compromise immunity as well as rapid aging! For this fact alone it’s important to help your body deal with the toxic build up. Regular use of AC will help with that as well as promote healthy digestion and brain function. Start wit 1/2 teaspoon of AC mixed in 8oz of water, drink it couple hours before or after meals. Wait few hours before/after using any vitamin or mineral supplements, as it may interfere with the absorption of these into your body. Be sure to take it away from prescription, which won’t enter your body when they bind to charcoal. I got into a habit of mixing it in my morning smoothie. I started with 1/2 tsp and over the course of 2 weeks worked my way up to 1 heaping Tbs! I have notice increases energy through the day and my skin is definitely looking cleaner! I experience less abdominal bloating, improved digestion and general stomach discomfort especially after eating beans and legumes. This might be due to AC binding to byproducts such as gas. Drink lots and lots of water. Think about it…AC is working hard to rid your body off toxins let’s help the process by drinking at least 2L of water per day. More is not always better! Don’t over do it, you might end up constipated 🙁 Start with small dose of 1/2 tsp and slowly increase it. Personally I take 1 Tbs daily. Scary Warning!! !When used properly, AC has no known side effect and it’s consider safe and effective. But of course you should consult your doctor before using it, especially if you are taking any medication. As we know by now AC is wonderful at removing the “bad” stuff from your body as sometimes can make your prescription medicine less effective. 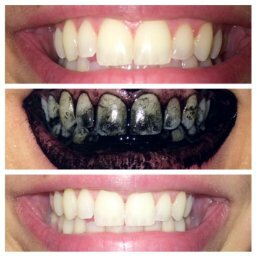 Yes as crazy as it sounds, this pitch black powder is super effective and safe way to clean and brighten your teeth. When used properly and regularly, charcoal helps lighten stains caused by coffee, tea, wine, fruit juices and apparently even tobacco. The beauty is that it doesn’t absorb the material found in your tooth enamel, making it safe for everyday use. Charcoal can help to whiten your teeth but do not try it for cleaning partial dentures as the powder could get stuck in small amounts between the dentures which may intern cause harm to your teeth and gums. Be very careful not to inhale any of the power! You will have a coughing fit – NO FUN! If you have darker stains it might take a bit longer to see progress, but be patient and stay consistent. I always follow with a second brushing using Tom’s natural toothpaste to get rid of any powder that got left behind in-between my teeth. Turns out that those tiny pores in AC I mentioned earlier are wonderful for your skin. 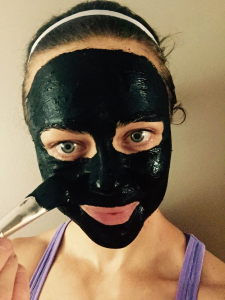 They are busy little helpers getting into the pores and removing dirt, chemicals and toxins to allow your skin to breathe. Leaving you with clean, healthy and glowing glowing skin. Who would’t want that, right?! Apply evenly on cleaned face. Rinse off with warm water, apply coconut oil or moisturizer of your choice. Optional: You can add several other ingredients into your mask. 1/2 Tbs clay, few drops of your favourite essential oil, 1/4 of avocado, 1/2 Tbs ground flax seeds…be creative and take in consideration your skin type. I use to be one of the lucky ones who didn’t have to do much and have clear and glowing skin. Then sometimes in my early 30’s all has changed. My skin started to break out and I had to be very mindful of what I put on my face. I stay away from any chemical and harsh product and always try to find products that are as close to it’s natural state as possible. Some work better then others. 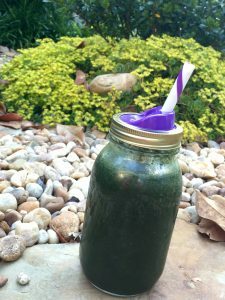 Activated charcoal is definitely a winner in my books. The secret for me is to mix 1/2 Tbs of AC + 1/2 Tbs of bentonite clay with 10 drops of organic tea tree oil and little bit of filter water. Just enough to create a pate. Apply it to my face and neck, let sit anywhere from 10-30min. Immediately I notice my skin to be more smooth and healthier looking. Since I made it part of my regular skin care, the acne breakouts are less frequent! Make sure to protect your clothing or counters because charcoal is black and messy. If you do get it on anything try using warm water, baking soda and natural dish soap (mixed together to create scrubbing paste). For your clothes add baking soda to your laundry load. I find it’s easier and less messy to do the mask before a shower and then just wash it off. You can find activated charcoal in most health food stores. Make sure whatever brand you buy that it’s labeled FOOD GRADE! I buy mine online HERE for a very reasonable price. The bag is 1 lbs and will last you for a loooong time. Remember to always check with your doctor or any other health practitioner (nutritionist, naturopath,…) and make sure it’s safe to use activated charcoal. Especially if you are on any medication or taking other supplements.